—Before becoming governor in 2005, Manchin served in the West Virginia state legislature and senate. He was also secretary of state from 2001-2005. He initially ran for governor in 1996 but lost in the Democratic primary. —He polls sky-high: Earlier this month, Rasmussen found that Manchin had a 77 percent job approval rating. —Coal mining has been a dominating issue during Manchin’s tenure as governor. According to The New York Times, more than 75 people have been killed in mining accidents since 2005, including the Upper Big Branch and Sago disasters. Soon after Sago, Manchin temporarily halted all mining so that safety checks could be performed. —Manchin, a mining union ally, has been at odds with Don Blankenship, CEO of Massey Energy, a giant coal producer and the owner of Upper Big Branch. Blankenship sued Manchin in 2005, accusing the governor of violating his First Amendment rights when Manchin said Massey and its CEO should be under stricter government scrutiny. The case was eventually dropped. —Manchin is conservative on several hot-button issues. He’s pro-life, and, earlier this year, he endorsed a law requiring health care providers to give women the option of seeing an ultrasound before they have abortions. When he was running for governor in 2004, the National Rifle Association (NRA) endorsed him—and gave him an “A+” rating. However, this spring, Manchin also vetoed two NRA-backed laws. 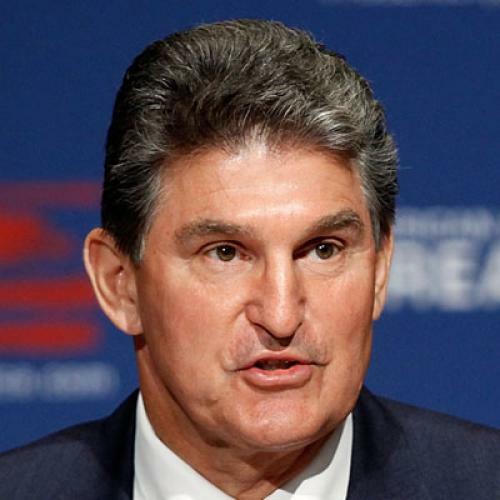 —Earlier this year, Manchin criticized the Obama administration’s environmental policies. He said that “[c]ap and trade will destroy the might of this nation,” and that White House officials “can't just be committed to vilifying the things they don't like”—namely, coal.